Body armor is an item or piece of clothing that is designed to protect the wearer against a variety of attacks. They can be made to stop different types of threats, such as bullets, knives and needles, or a combination of different attacks. There are two types of body armor – soft body armor, which is used in regular bullet and stab proof vests, and hard armor, which is rigid, reinforced body armor, and is used in high risk situations by police tactical units and combat soldiers. A piece of body armor will traditionally be made up of two sections – the outer carrier, and the soft armor inner protective panels. It is important to remember that a carrier without any type of protective panels contained within it will not provide any protection against ballistic, stab or spike attacks. The outer carrier can be made from a range of materials, and can be available in a range of colors, depending on the users requirements. The soft armor protective panels that are placed within the carrier will provide the protection offered by the body armor, and are normally light weight and flexible. These protective panels are available in a range of levels, and can be designed to defeat a variety of threats. When a higher level of protection is required then hard armor can also be used in addition to the normal soft armor panels. Hard armor is available in a range of sizes, and can be worn in front of soft armor in specially made pockets on the outer carrier, or in separate hard armor carriers. 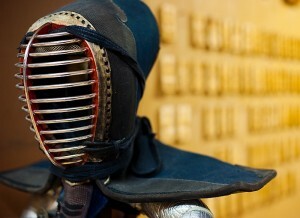 There have been many different forms of body armor in use throughout history. The ancient Greeks used body armor to protect their soldiers, as did the Roman Legions, with examples of their body armor being found that date back to as early as 1400 BC. Around the year 500 BC chain-mail body armor was invented, which provided the wearer with a higher level of protection against attack than previous types of body armor. Made from thousands of iron rings that were linked together, it created a flexible, mesh like barrier that provided a high level of protection against weapons such as spears and swords. It was highly effective against the weapons of the era, but over time chain-mail was improved by adding metal armor plates to provide a higher level of protection for vulnerable parts of the body. Gradually these pieces of plate armor became bigger and more effective, and eventually replaced chain-mail as the main type of body armor that was used by armies around the world. The introduction of firearms led to developments in the production of body armor, as plate armor was ineffective against high velocity projectiles. This led to the development of heavy duty types of plate armor, which provided a higher level of protection for the wearer, but was also heavier and more restrictive than earlier types of body armor The use of plate armor declined during the 18th century, as the development in firearms again meant that only the most expensive and heavy types of body armor could provide reliable protection against them. However during the early 20th century some types of plate armor became popular again with many countries, especially as it proved effective at stopping pieces of shrapnel that often proved deadly on the battlefield. Several countries used different forms of plate armor in both World War I and II, and traditional types of plate armor were worn by U.S. Foot soldiers as late as the Korean and Vietnamese wars. The biggest development for body armor was in the late 1960’s, when DuPont™ began development of their para-aramid fiber Kevlar®. Lightweight and incredibly strong, Kevlar® allowed manufacturers to develop personal types of body armor that could be worn comfortably for long periods of time, and that also provided protection that could not be matched by any previous forms of body armor Over time other companies also developed their own types of body armor using a variety of revolutionary materials, meaning that body armor become both widely available and also affordable for the first time in history. Body armor was traditionally used to protect soldiers and military personnel, however the last 25 years has seen an increase in the use of body armor to provide protection for police officers, security guards, door supervisors, ship crew and many others. The increase in gun and knife crime around the world means the use of body armor is now essential in many industries, and rapid developments in body armor means it can now provide a high level of protection against a broad range of day to day threats. The introduction of lightweight personal body armor means that it’s now commonplace in many industries that previously would not have used body armor For example the increase in sea piracy has led to many shipping companies purchasing pieces of body armor for their crew members, in an effort to provide them with protection against the increased threats that they now face. Bullet and stab proof vests are generally made to be either covert or overt. A covert bullet proof vest is designed to be worn under clothes, and will often come in light colors They are normally thinner than overt types of bullet proof vests, as they are designed to be invisible when worn under clothes. Overt designs of bullet proof vests are made to be worn over clothes, and are normally produced in dark colors Generally they are made from rugged, hard wearing materials, and will often feature pockets and straps that can be used by the wearer. It should also be noted that some bullet proof vests can be worn under or over clothes, these are known as covert / overt vests. The vest carriers of bullet proof vests are designed in a wide range of styles, and are often customized for different uses. For example ambulance staff will have body armor in high visibility covers, and military personnel will have additional neck, groin and arm protection attached to their bullet proof vests. The broad range of covers and accessories available means bullet proof vests can be designed to almost any specification required. The protection standards used for body armor will vary from country to country, with many having their own specific tests and standards. However the tests performed by the American NIJ (National Institute of Justice) and the UK HOSDB (Home Office Scientific Development Branch) are considered to be the model standards for body armor around the world, and most countries will recognize the protection levels offered by a piece of body armor that is certified by either of these agencies. The NIJ are considered to be the industry leaders in ballistic testing methods for body armor, and the HOSDB’s stab and spike tests are thought to be the worlds best. The NIJ and the HOSDB work in conjunction with each other on their testing methods, and a piece of body armor that passes NIJ standards will also pass the equivalent HOSDB standard. Body armor is designed to protect against 3 broad types of threats – bullet, stab and spike. The protection offered by a piece of body armor will depend on how it is designed. For example some pieces of body armor will provide protection from just ballistic threats, while others will provide protection against bullet and stab attacks, or even bullet, stab and spike based threats. Each piece of body armor will be clearly labeled with the protection that it provides. The higher the number on the protection, the higher the level of protection it will offer. For example a bullet proof vest that has NIJ Level IIIa protection will provide a higher level of protection than a bullet proof vest with NIJ Level II protection . Please see our protection levels section for more details. Body armor comes in a full range of sizes, from small to 5XL. The larger the size, the wider the protective panels of the bullet proof vest will be. Body armor is also designed in different lengths – short, regular and long. A normal piece of body armor is designed to protect only the wearers vital organs, and should reach to the navel area. We recommend that anyone under 5’5 orders a short vest, between 5’6 and 5’11 a regular length vest, and over 6′ a long vest. Body armor is made in the same way as normal clothing when it comes to sizing. For example a 5’10 man with a 38-40 inch chest and 32-34 inch waist will wear a medium t-shirt, and also a medium, regular length bullet proof vest. Bullet proof vests are designed to stop a bullet from penetrating them and causing harm to the wearer. They are made up a many layers of incredibly strong fibers, which when hit act as a net that essentially catches the bullet, and prevents it from traveling any further. Each layer twists as the bullet passes through, creating a stronger barrier and slowing the bullet until it comes to a complete stop. This process deforms the bullet, flattening it into a dish shape, and the force of the impact is spread over a large portion of the bullet proof vest. Bullet proof vests come in several levels of protection, and are designed to resist most common law and medium energy handgun rounds. If the wearer requires protection against rifle rounds then rigid, hard armor can also be used in conjunction with their bullet proof vest. Hard armor is generally made from ceramics, metal or a combination of both, and are worn in front of the panels on the bullet proof vest. However these plates tend to be heavy and bulky, and so they are generally used only when required in high risk situations. It is very important to remember that a bullet proof vest is only bullet proof when it contains ballistic panels. A bullet proof vest without ballistic panels is simply a vest, the outer vest cover does not provide any ballistic protection on its own. The ballistic panels themselves are made in different ways, depending on the individual manufacturer. Some may use a single type of material such as DuPont™ Kevlar®, whilst others may use multiple materials in their construction. The more protection a bullet proof vest offers, the more it will weigh. This is because it will contain more layers of protective material, and some manufacturers will add layers of non-ballistic materials in order to provide additional blunt trauma protection. Because of the different methods of construction used by different manufacturers it is impossible to compare individual ballistic plates, however it is important to note that whilst they may be constructed differently, they all need to pass the same safety checks before they can be sold. A traditional bullet proof vest will provide little to no resistance to an attack from a knife or stabbing instrument, as the fibers that are designed to “catch” the bullet can not disperse the energy of a concentrated stab or spike attack. Stab and spike proof vests are constructed differently to bullet proof vests, in order to offer resistance to these types of attack. A knife tip will penetrate fabric, which then allows the rest of the cutting surface to rip through the material. A pointed weapon, such as a needle or syringe, will not actually damage the material, rather the point will push through the weave of the fabric and allow the rest of it to follow. Stab and spike proof vests are made up of materials with a very tight laminated weave, as this prevents threats from piercing the fabric and causing damage. 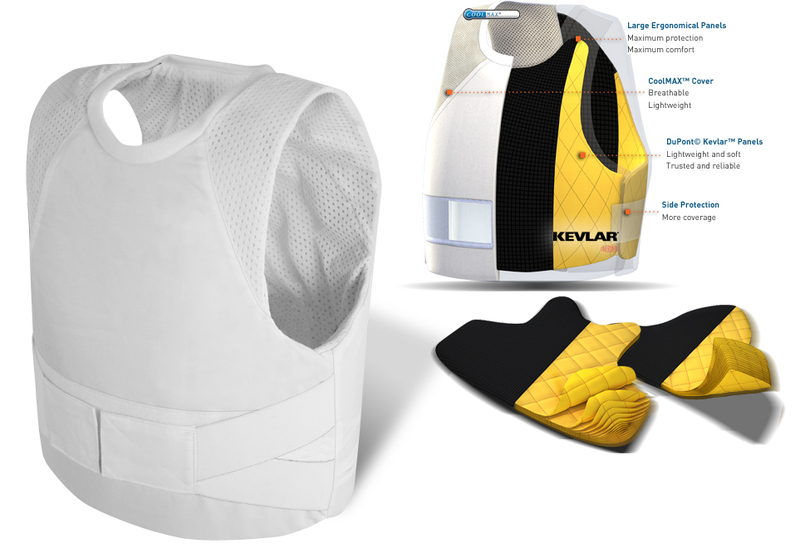 Stab and spike proof vests can be made from tightly woven, heavy duty nylon, however recent trends have led to an increase in multi-threat Kevlar® vests, which offer protection from bullet and stab threats, whilst others offer bullet, stab and spike protection. It is important to note that not every stab resistant vest will also offer spike protection. If you are going to face spike based threats please ensure you select a vest with additional spike protection. Please be aware that body armor is NOT designed to provide 100% protection against every conceivable threat. Your body armor will provide protection up to its stated levels, so always ensure that you have the correct level of protection for the threats you could face. Body armor should be cleaned straight after wearing using a weak liquid detergent and warm water. Sponge the vest cover, do not immerse the vest in water as this could damage the panels. Do not dry in direct sunlight. Body armor should be stored flat when not in use . This will stop creases and wrinkles forming in the ballistic materials. Do not wash the Kevlar® inserts, as this could cause damage to the ballistic fibers If required they can be lightly sponged with warm, soapy water. The covers are made from various materials and the washing instructions should be followed. Body armor should be visually inspected for damage or excessive wear every time it is worn. Never wear body armor that is damaged in anyway. Bullet, stab and spike proof vests are designed to be worn in a specific direction. It is important that you ensure the ballistic panels within your vest carrier are facing the correct direction at all times. When a bullet strikes a bullet proof vest its impact is absorbed by the many layers of fabric within 3 nanoseconds, caught, and prevented from passing through the vest itself. However this method of stopping a bullet is directional, which means that it works only when the panels are facing in the correct direction. If the panel is facing the wrong way then the web of fibers becomes practically useless, and leaves the wearer open to serious threat. The same applies to stab and spike proof vests. If the protective panel is facing the wrong way it becomes easier for pointed objects to pass through, as they are not designed to protect against threats from that direction. All protective panels are clearly marked with the direction they are intended to be worn, and it is important that the wearer ensures they are aware of this at all times. If you remove your vests panels in order to wash the outer carrier then always pay attention when putting the vest back together, and ensure that when the panels are reinserted they are facing the correct direction. Most bullet proof vests are adjustable at the waist in order to provide the wearer with a well fitted, comfortable vest. Armour should not be worn too tightly as this may increase body heat and restrict movement. The armor we sell is made from aramid fibers and these will lose some of their protective properties if they are totally immersed in water for a long period of time, however this will only be temporary until the armor has dried out. Our body armor will not be affected by rain or sweat. This article was provided courtesy of SafeGuard ARMOR™. SafeGuard ARMOR™ has been operating for 25 years, selling our body armor to thousands of individuals and companies across the world. Started in 1986, we have grown from a small operation selling bullet proof vests to local companies, to the worldwide leader in body armor. We now manufacture our body armor in the U.S. and Europe, and have multiple distribution points around the world.